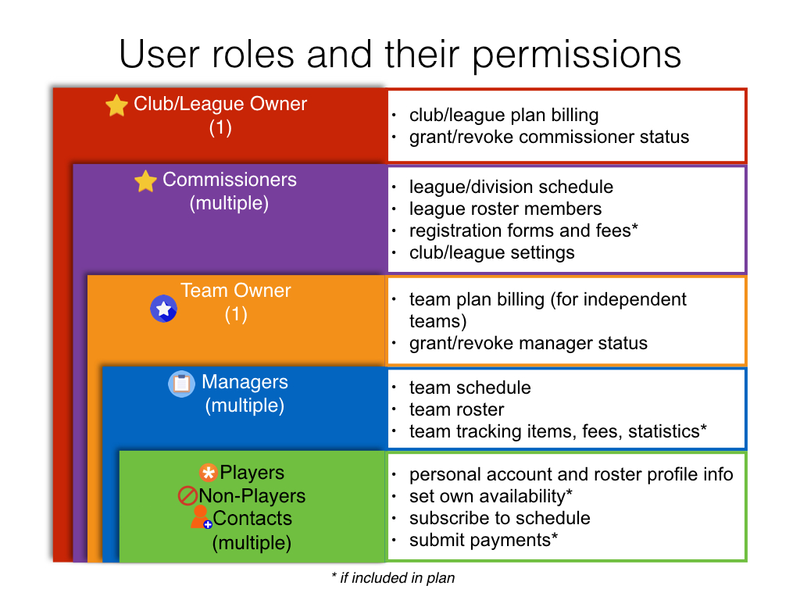 There are four basic member types: Team Owner, Manager, Player, and Non-Player. If you have a Club & League account, you will have two additional member types: League Owner and Commissioner. For example, someone who coaches but doesn’t play, an assistant coach, team mom, or even a team mascot. Functionally, there is no difference between a player and a non-player. Finally, there is a check mark indicator on the roster for TeamSnap Members, to indicate who has accepted their invitation to join the team. For more info on this, check out the article on the invitation process.